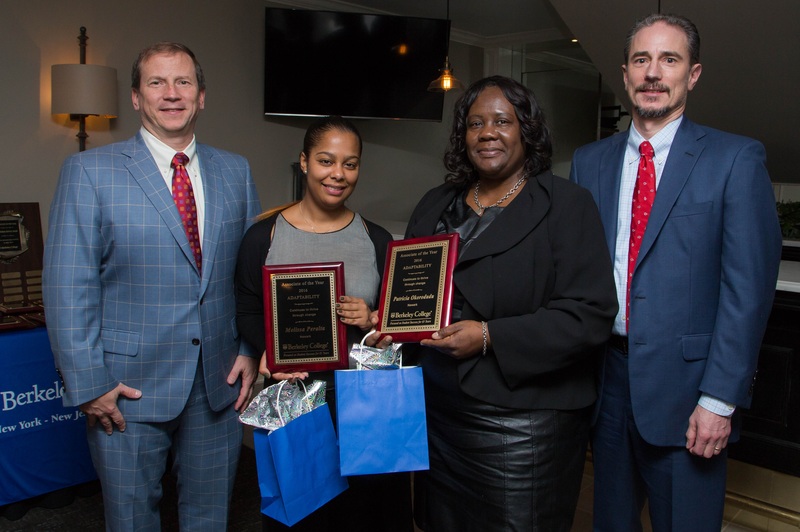 Photo Caption: Berkeley College recently recognized Patricia Okorodudu (second from right) of South Orange and Melissa Peralta (second from left) of North Bergen, both Berkeley College Financial Aid Administrators at the Newark Campus, with the 2016 Associate of the Year Award in Adaptability. The award recognizes individuals who continue to thrive through change. With them are Kevin Luing, Board Chairman (left) and Randy Luing, Vice Chairman, both from Berkeley College. To view a high-resolution version of this photo, click here.